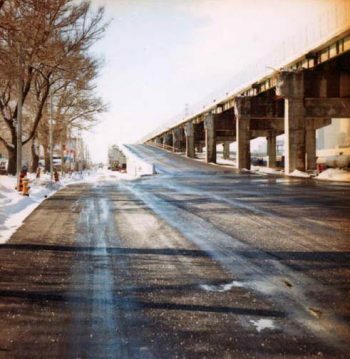 It was the on-ramp to an expressway that was never built. In the 1960s, planners envisioned highways reaching into all suburbs of the city, including southern Scarborough. Because of the cost and a growing public belief that building more highways would not solve traffic congestion, only a 1.3-kilometer section of the planned Scarborough Expressway was ever built. 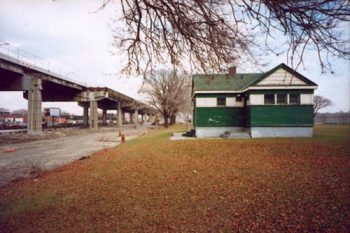 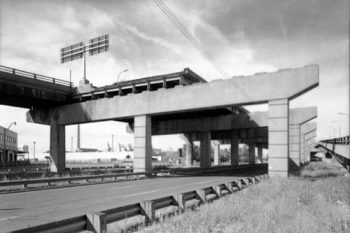 It became known as the Gardiner Expressway East, an extension of the Gardiner Expressway from the Don Valley Parkway east to Leslie Street. 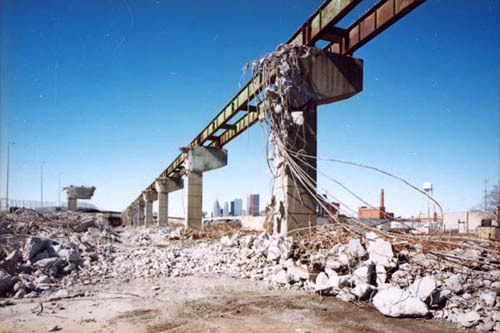 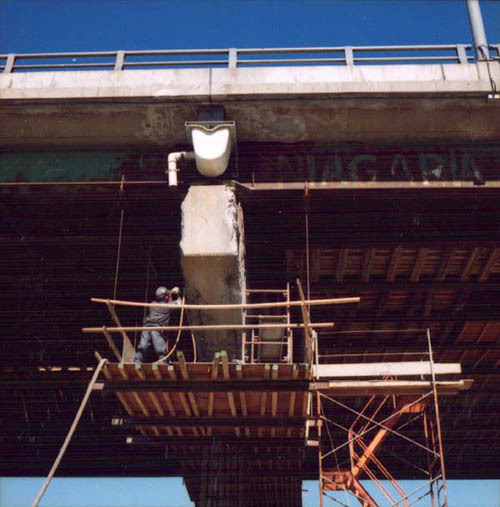 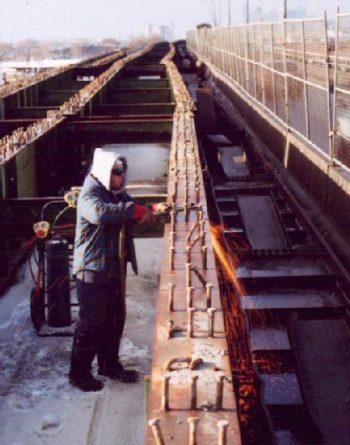 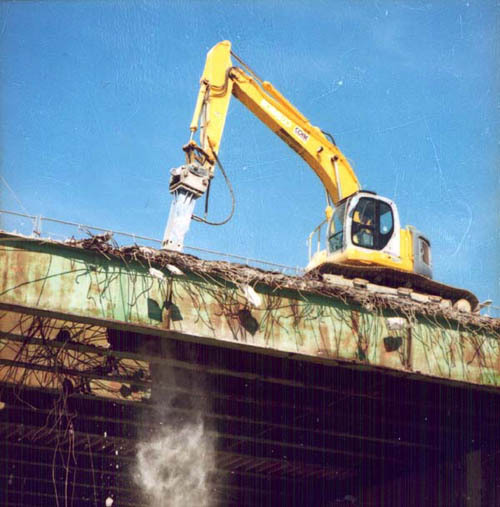 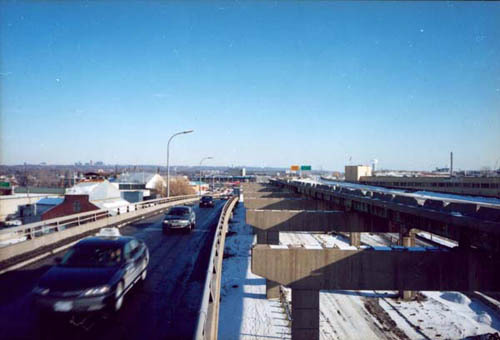 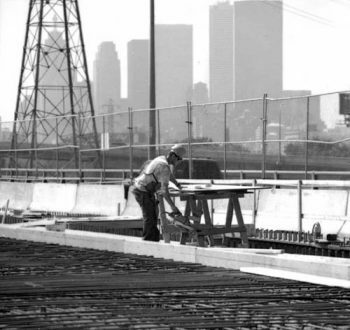 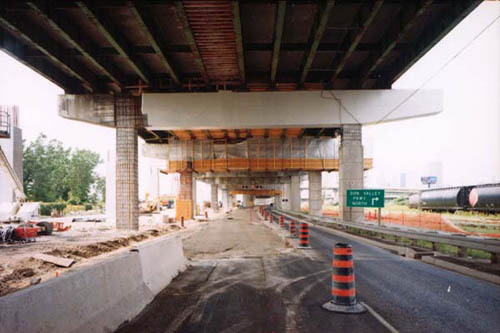 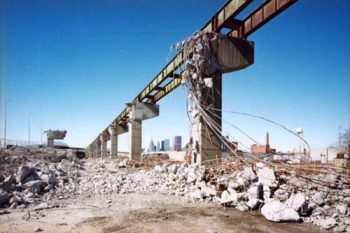 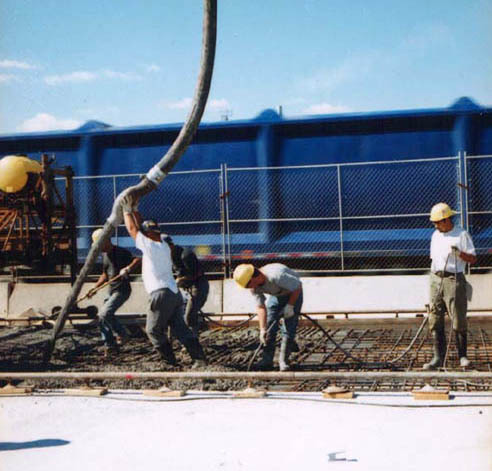 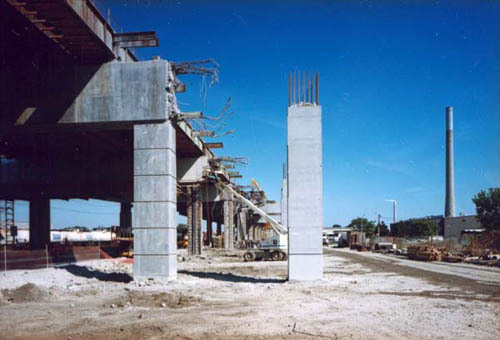 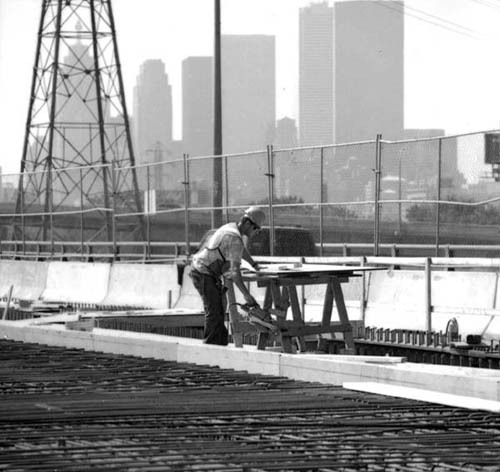 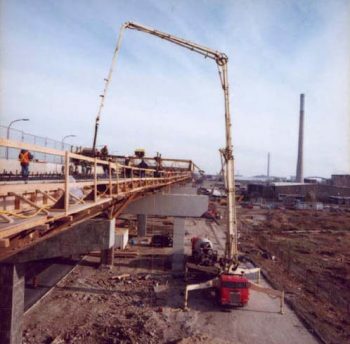 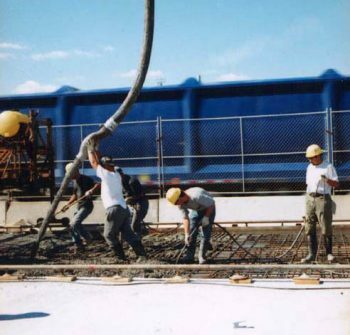 By the 1990s, the expressway’s elevated structure had become too expensive to maintain. 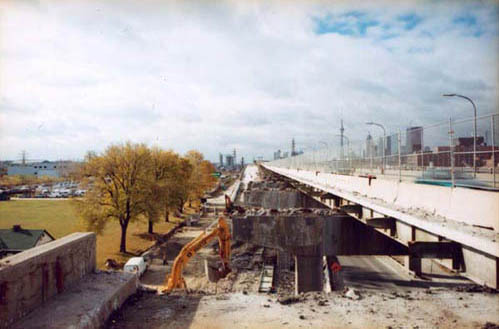 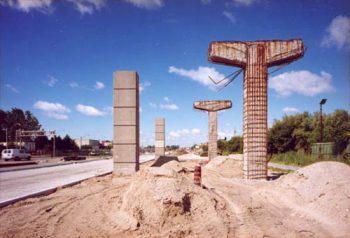 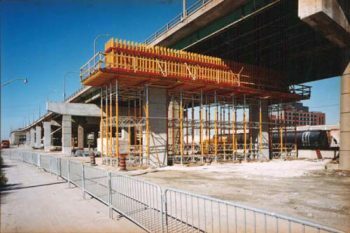 In 1999, Toronto City Council voted to demolish the elevated section of the Gardiner Expressway East, and replace it with an improved and higher-capacity Lake Shore Boulevard East that would include bicycle lanes, landscaping, and a public art project. 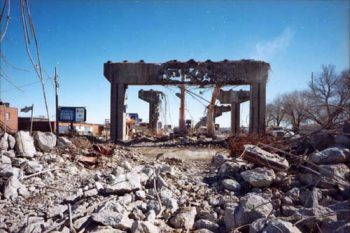 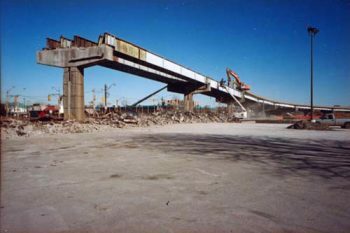 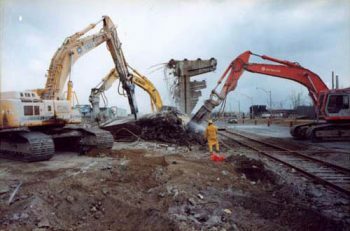 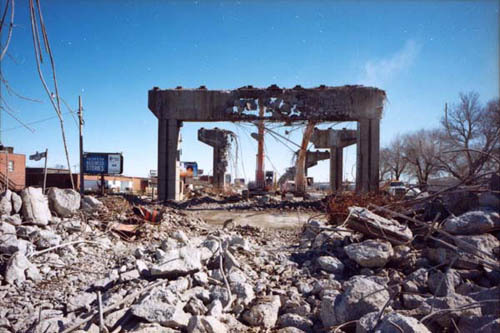 Award-winning photographer Peter MacCallum was hired by the City’s Works and Emergency Services Department to document the demolition and reconstruction work. 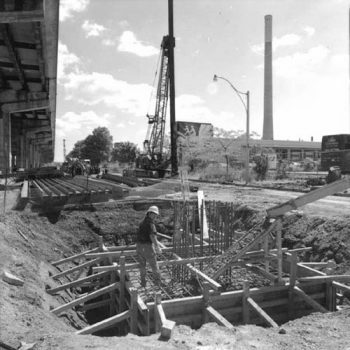 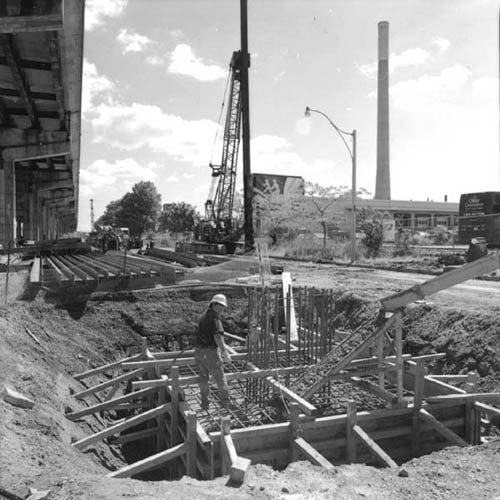 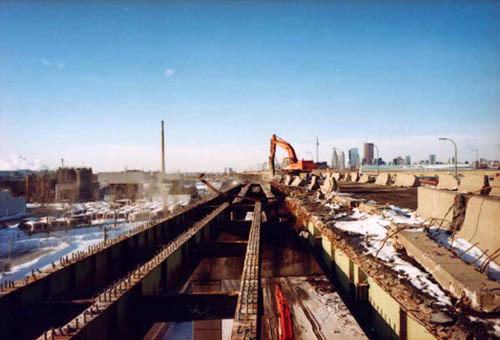 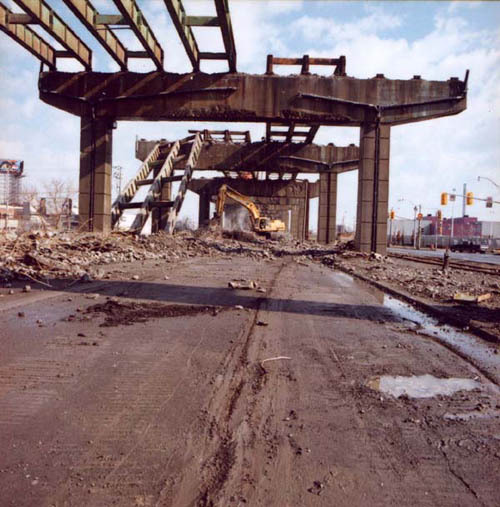 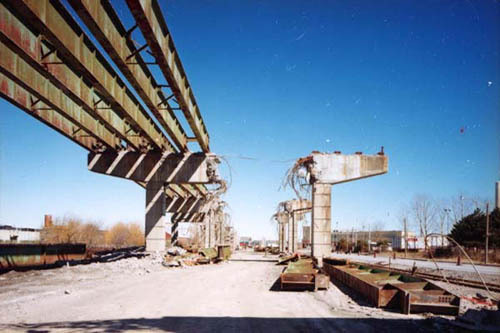 Industrial environments have been a particular interest of MacCallum’s throughout his career, and his photographs of this project show the dismantling of the elevated expressway, the reconstruction of Lake Shore Boulevard East, and the building of new on and off ramps to connect the main Gardiner Expressway to the new Lake Shore Boulevard East. The images shown here are only a small selection from over 1300 photographs MacCallum took during the project.